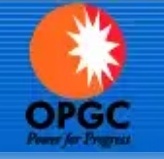 Odisha Power Generation Corporation Ltd. has invited applications for recruitment to the various managerial positions on permanent and contract basis. The candidates eligible for the post can apply in the prescribed format on or before 1 May 2018. Last Date of Application: 1 May 2018.